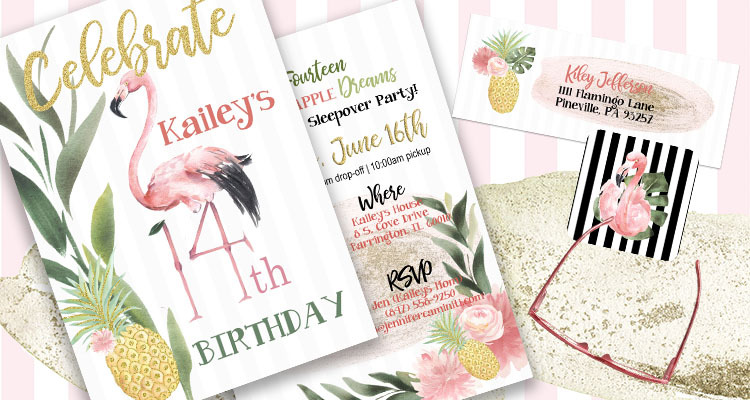 This invitation is such a unique design using trendy gold pineapples and summertime flamingos. The Flamingo’s legs make a “14” as a play on the age. 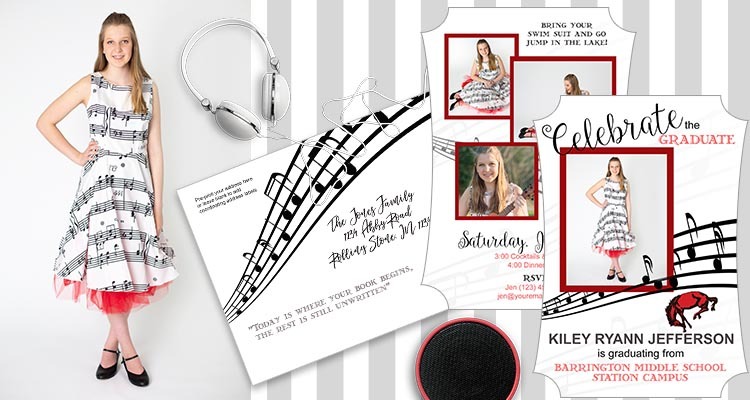 Click here to view FLAMINGO INVITATION and coordinating sets. 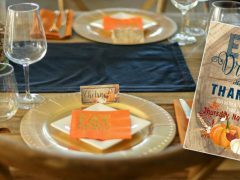 Cards start at $2.05 each, or purchase the digital JPG and send through Punchbowl or Evite. 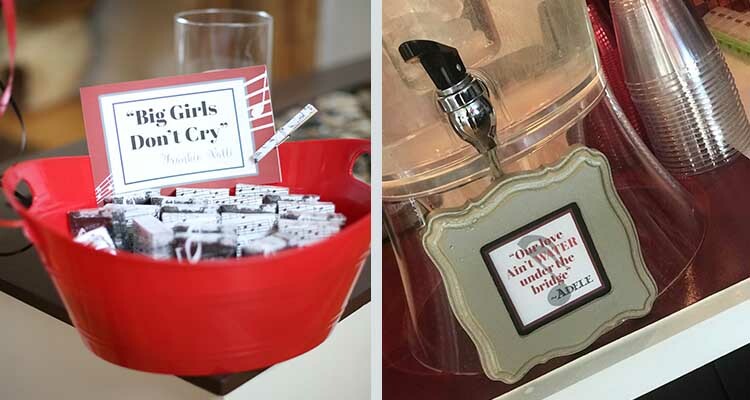 Guests were greeted with summer scented red candles by Bath and Body Works, giving a warm welcome and added a pop of color. 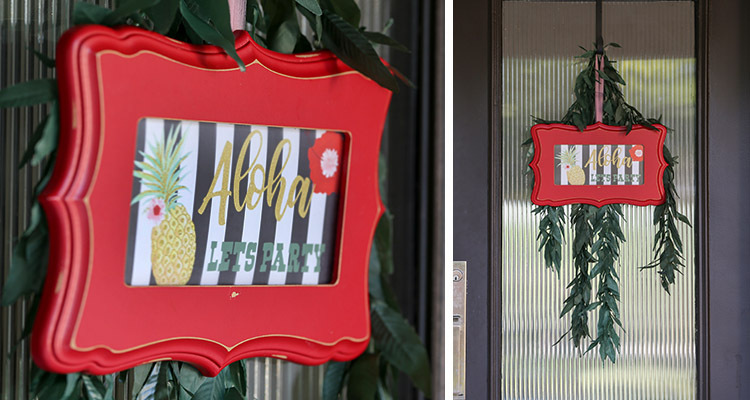 The 5×10 welcome sign with frame from The Organic Bloom began the Luau theme with the gold pineapple Aloha Sign. A speaker, hidden behind the planter, played Hawaiian music on repeat. 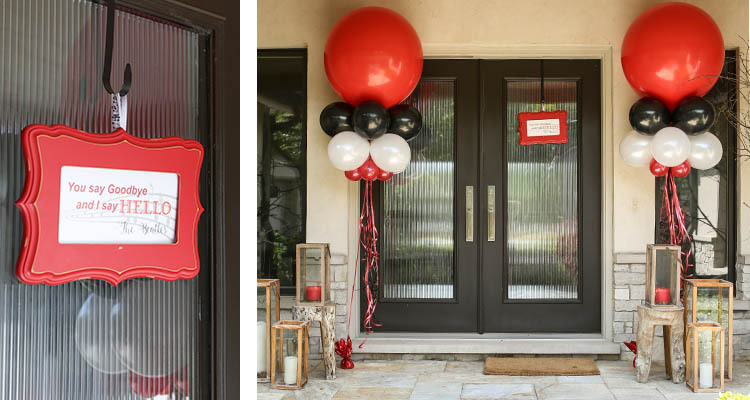 Printable welcome sign available for download here. 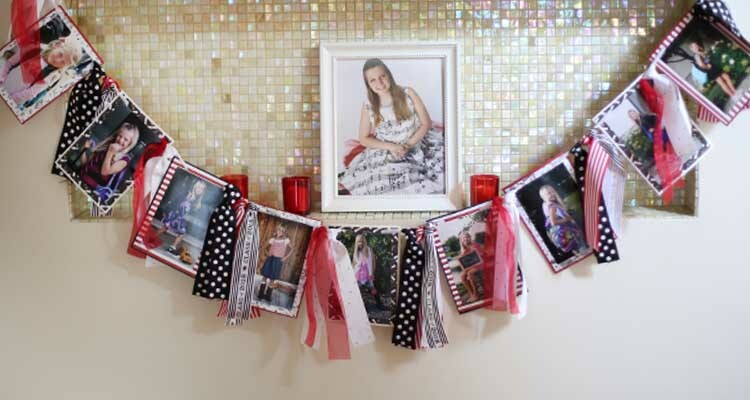 Guests were greeted by a mini mannequin dressed as a luau girl. 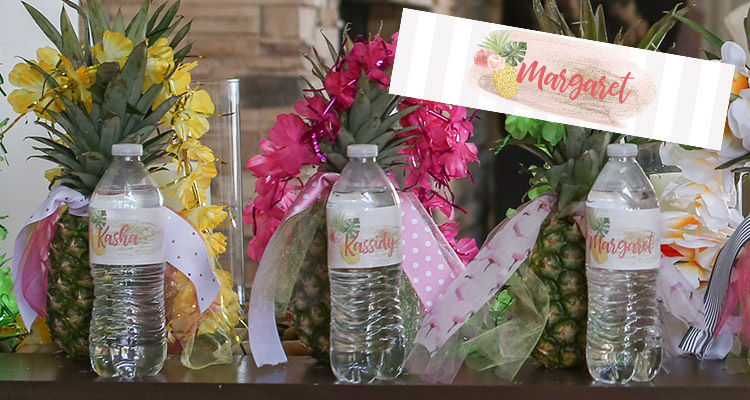 Pineapple water bottle labels were printed with each girls name on it. 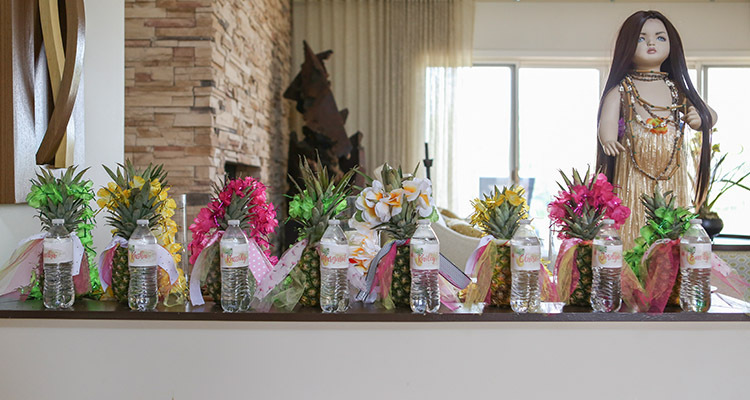 They also received a lei as a welcome, and a pineapple to take home! 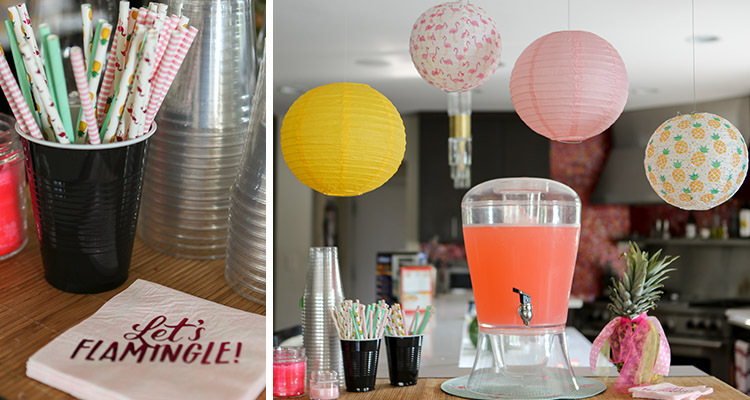 The girls loved having a “walk up bar” with strawberry lemonade to fit the color scheme and summer theme! 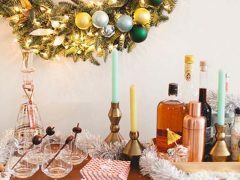 “Let’s Flamingle” napkins from Target and flamingo and pineapple straws completed the mocktail bar. 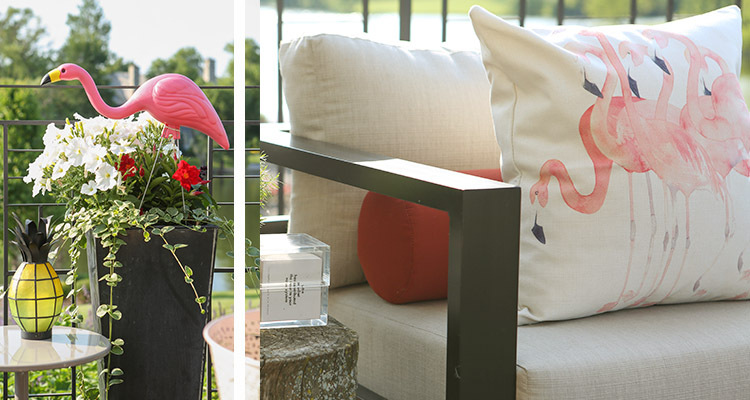 The outdoors displayed flamingos and pineapples throughout the yard. 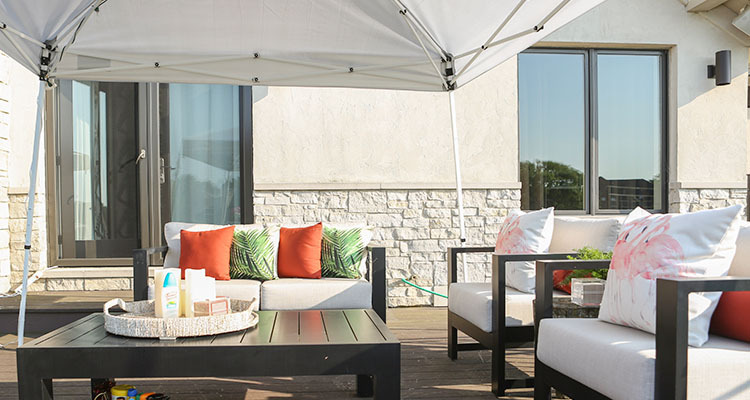 The seating area was turned into a “vegas style cabana” with a canopy tent for shade and flamingo and palm pillows for decoration. Luau theme games were the highlight of the party. 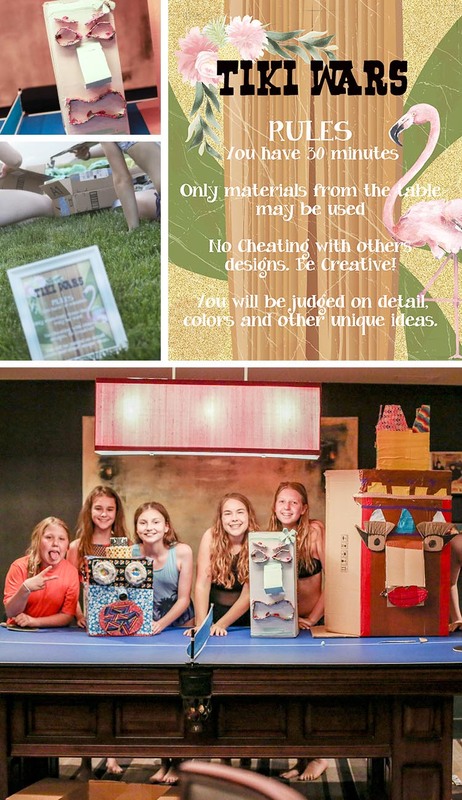 TIKI WARS consisted of building the best tiki head out of cardboard and duct tape. Printable TIKI WARS Directions sign available here. BOWLING FOR COCONUTS was another clever concept. 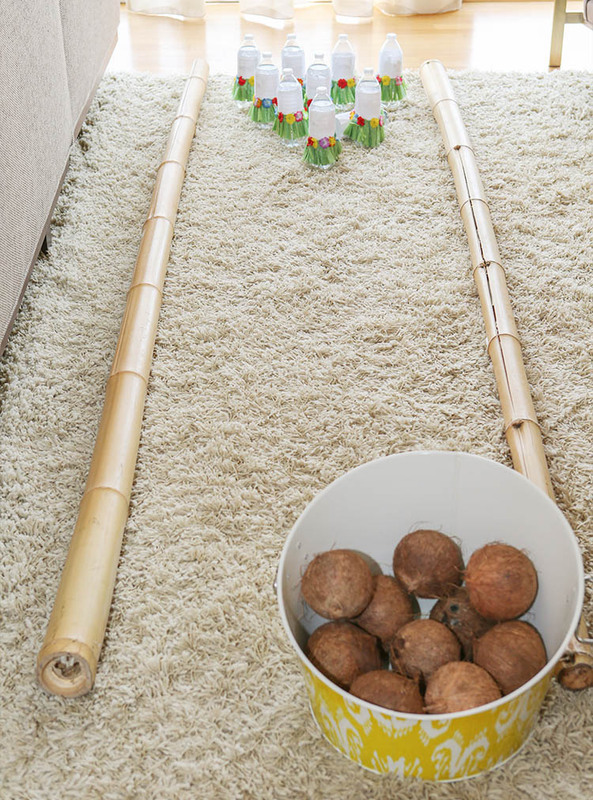 Girls formed teams to knock down water bottled dressed in mini lei’s using coconuts.